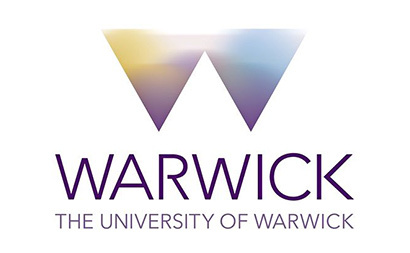 The University of Warwick provides world-class science expertise and specialist facilities for research on fresh produce. We deliver knowledge and technology to businesses along the supply chain with an emphasis on cost-effective and environmentally sustainable production of high-quality crops.Research on plants and crops is undertaken within the School of Life Sciences, which has extensive laboratory facilities and a state-of-the-art Phytobiology Building on the main campus. Warwick Crop Centre is based at the University’s Wellesbourne Campus, which includes specialist laboratories, a wide range of glasshouses, controlled environment facilities and 192 ha of agricultural land – and is a location where businesses can engage with research. Other areas of research within the School of Life Sciences relevant to the wider Agri-tech sector include livestock health and environmental microbiology. In addition, we collaborate in an interdisciplinary way with colleagues in other departments, including Warwick Medical School, Warwick Business School and Warwick Manufacturing Group, to carry out research on the impact of diet on health, optimising food supply chains and approaches to improving water quality. We engage fully in knowledge exchange with industry, government and levy bodies.To meet the challenges of climate change and the need to increase food production, whilst minimising its impact on the natural environment, we use our expertise in genetics and genomics to enhance and accelerate crop breeding and produce crop varieties that can thrive in diverse and challenging environments. On behalf of Defra, Warwick hosts the UK Vegetable Genebank, a leading international resource for genetically diverse collections of vegetables. We focus on the biology and ecology of key pests and pathogens to identify ways to improve their control and to manage the environment to minimise losses. This includes a range of approaches to Integrated Pest Management (IPM), such as biological control. We undertake basic research on the diversity, distribution and functioning of microbial communities inhabiting the rhizosphere and soil and look for ways to manage the soil environment to enhance crop growth and minimise losses to pests and disease. One of our most important pollinators, the European honey bee, faces serious threats from parasitic diseases, especially the varroa mite. We are investigating novel approaches to the control of honey bee diseases.In addition to a range of programmes to support research interactions between industry and academia, the School of Life Sciences also offers post-graduate and professional development training in applied areas of bioscience, food security and sustainable crop production.